Detatchable footboard. 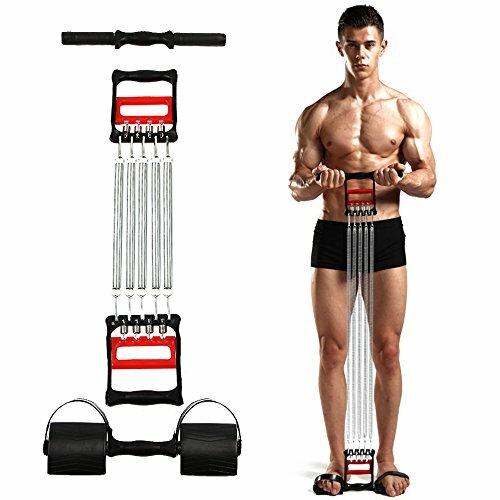 Pedals and handle are extra attached to the chest expander, with the spiral tools it's easily to be stalled for the use of arm training or shoulders training. Multifunctional. It's a useful chest expander, and strong wrist developer, with attached handle and pedals can be nice strengthener for upper arm and back muscle trainning, with proper using also can be nice trainer for legs.